Posted January 5, 2016 by - filed under Foundation Repair. As years pass, your home’s foundation is likely to shift. While some change is acceptable and normal, drastic shifting or settling over short periods of time may indicate a problem. 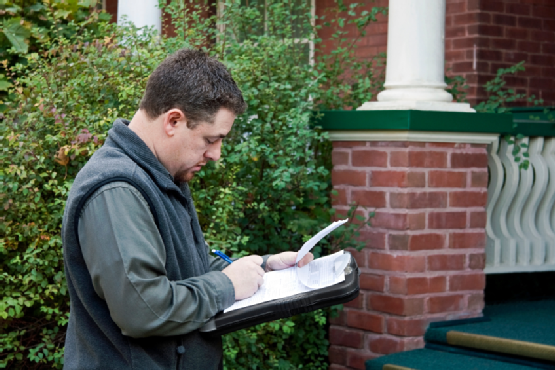 The best way to identify problems is through regular walkthroughs in and around your home. The soil around the perimeter of your home should be sloped away from the home. This diverts water from your homes foundation. If the grade of the land around your home is too flat, and you notice flooding or ponding near your home, consider the drainage outside of your home. Learn more about waterproofing. One of the telltale signs of foundation damage are cracks in walls. Check for signs of shifting and settling. These may look like long vertical cracks. Horizontal cracks are typically indicative of lateral settlement. Settling and shifting in the home can also cause cracks to develop along walls and door frames. Cracks that seem to appear suddenly out of nowhere, or cracks associated with malfunctioning doors and windows, indicate problems with your crawlspace or foundation. During residential construction, foundations are designed to be perfectly level to ensure even, slow settling. However, if your home is experiencing foundation problems, it may settle unevenly. To determine how level your homes foundation is, use a laser level in your basement or crawlspace. 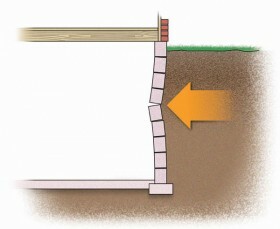 If different points in your basement are extremely uneven, then you definitely have foundation issues in your home. For more tips on for checking your homes foundation, contact the residential foundation experts at United Structural Systems. Call (615) 227-2275 for foundation repair, waterproofing, or crawl space services in Nashville today.